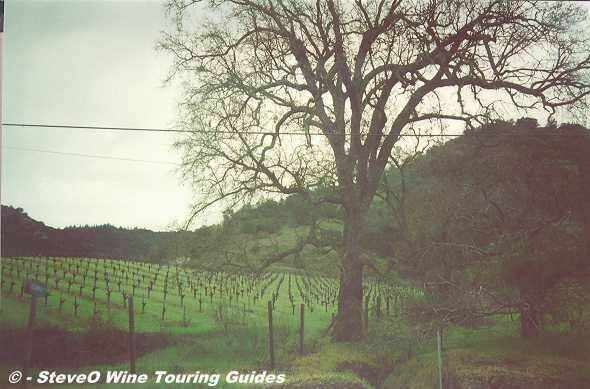 Welcome to my California Sonoma County Wine Touring Guide. This page is constantly being updated. Any errors are probably my typing. I've been enjoying wine touring in the area for a number of years and figured I'd pass on some information. This page is ENTIRELY Non-Commercial! I have no connection to any winery except as a happy consumer and occasional visitor. I hope you enjoy visiting some of these places on your search for the pleasure of wine. Hey...tell 'em SteveO sent you. My thoughts go out to all the folks in the area with the recent fires. Here is to everyone being safe and a speedy recovery. This area has numerous tasting rooms and wineries. This area is less crowded than Napa Valley on the other side of the hill with some wonderful wineries to visit. Any feedback is welcome at my address at otruba@californiawineryguide.com. Locals Tasting Room Geyserville Ave. & Hwy 128, Geyserville. Cellars of Sonoma Tasting Room 133 Forth St., Santa Rosa. 4685 West Dry Creek Road, Healdsburg, CA 95448. (707) 433-1385. Tours and Tastings by appointment. Varietals Produced: Zinfandel, Cabernet Sauvignon, and Merlot. 12040 Old Redwood Highway, P.O. Box 2061, Healdsburg, CA 95448-2061. (707) 433-6440, (888) ACORN-76, Fax: (707) 433-7641. Tours and Tastings by appointment. (707) 939-7967. Open by appointment. Tasting Room at 481 1st St West, Sonoma. Open daily 11-7. 886 Jensen Lane, Windsor, CA 95492. 8644 Highway 128, Healdsburg, CA 95448-9642. (707) 433-7209 or 800-888-7209. Fax: (707) 433-9408. Tasting: Daily 10-5 except major holidays. Tours by appointment. (707) 938-3783. Fax (707) 938-3221. (707) 431-7767. FAX (707) 431-0258. (707) 996-4188. Open daily 10:30-5:30. (707) 886-5460. Hours: Wed-Sun Noon-5. 4791 Dry Creek Road #3-4, Healdsburg, CA 95448. (707) 539-5641. Open by appointment. (800) 296-1952. Open by appointment. (707) 473-0606. Open daily 11-5. 2201 Westside Road, Healdsburg, CA 95448. Open daily 11-5. Tours by appointment. (707) 820-1383. Fax (707) 820-1385. 14347 Sonoma Highway, PO Box 1240, Glen Ellen, CA 95442-1240. (707) 938-5170. Fax: (707) 938-5195. Open daily 10-4:30. Tours by appointment. (707) 433-1920. Fax (707) 433-1935. (707) 824-8204. Open by appointment only. Tasting at Graton Ridge Cellars, 3541 Gravenstein Hwy N., Sebastopol Fri-Sun 11-5. (707) 568-2455. Tasting Room open daily 10-4. 1000 Vineyard Ln, Sonoma, CA 95476. Tasting open daily 11-4:30. Tours by appointment. (866) 57-BELLA (572-3552). Open daily 11-4:30. (707) 526-4441. Open by appointment. 1883 London Ranch Road, Glen Ellen, CA 95442. (415) 435-1946. Open by appointment only. P.O. Box 1842, 18000 Old Winery Rd., Sonoma, CA 95476. (707) 252-7117. (800) 926-1266. Fax: (707) 252-0392. 19550 Geyserville Avenue, Geyserville, CA 95441. (707) 857-3417. (800) 793-WINE. Fax: (707) 857-3545. (707) 566-7700. Fax: (707) 566-7200. Not open to the public. Tasting Room: 122 West Spain St., Sonoma. Open daily 11-5. 4035 Westside Road, Healdsburg, CA 95448. (707) 431-4442. Open daily 11-5. (866) 557-4970. Open daily 10-5. (707) 433-3027. Open for tours by appointment. (707) 473-9482. Open by appointment only. P.O. Box 2167, Glen Ellen, CA 95442. (800) 544-8890. (707) 938-5862. Fax: (707) 938-1803. (707) 935-3848. Open daily 11-6. P.O. Box 266, 5007 Fulton Road, Fulton, CA. (707) 571-7500. Fax: (707)544-1318. Open daily 10-5. 6195 Dry Creek Rd., Healdsburg, CA. (707) 433-6992. Fax: (707) 433-0401. (707) 836-9011. Open Daily 11-5. 8555 Sonoma Highway, P.O. Box 293, Kenwood, CA 95452. (707) 833-4134. Fax: (707) 833-4700. Open daily 10-5. 641 Limerick Lane, Healdsburg, CA 95448. (707) 433-2001. Fax: (707) 431-0183. 24737 Arnold Drive, (Highway 121), Sonoma, CA 95476. (707) 935-4310. (800) 546-2070. Fax: (707) 935-4319. 19410 Geyservlle Avenue, Geyserville, CA 95441. (707) 874-1962. Fax (707) 874-1238. 15140 Sonoma Hwy, Glen Ellen, CA. Visit their Web Site: B. R. Cohn Winery. 9931 West Dry Creek Rd, Healdburg, CA 95448. Tasting at Family Winemakers of Dry Creek, 4791 Dry Creek Road, Healdsburg, daily 10:30-4:30. 1160B Hopper Ave., Santa Rosa, CA 95403-1116. (707) 541-7474. Fax: (707) 541-7575. (707) 857-1400. Tasting open daily 11-6. (707) 433-2272 | fax: (707) 433-8448 . (707) 795-7052. Fax (707) 824-9432. Open by appointment only 2900 Llano Rd., Santa Rosa. 1301 Cleveland Avenue, Suite A, Santa Rosa, CA 95401. (707) 546-2466. FAX (707) 546-6147. (707) 431-8000. Open by appointment. 8075 Westside Road, Healdsburg, CA 95448. (707) 433-5852. (800) 826-1073. Fax: (707) 433-4309. (707) 833-5215. Fax (707) 833-1312. (707) 823-2378. Open by appointment. 1791 Olivet Road, Santa Rosa, CA 95401. (707) 526-9111. Fax: (707) 526-4151. (800) 546-7718. Fax: (707) 857-3262. Open daily 10:30-5. (707) 431-7945. Open by appointment. 1960 Dry Creek Rd, Healdsburg, CA 95448. (707) 431-1902. Open by appointment. P.O. Box 548, 1141 Grant Avenue, Healdsburg, CA 95448. P.O. Box T, 3770 Lambert Bridge Rd., Healdsburg, CA 95448. (707) 433-1000. (800) 864-WINE. Fax: (707) 433-5329. (707) 433-6665. Open by appointment. (707) 829-9463. Fax (707) 829-5368. 435 Petaluma Ave., Suite 110, Sebastopol, CA 95472. 111 Goodwine Avenue, Penngrove, CA. (707) 664-WINE. Open daily 10-4. (707) 939-8525. Open Thur-Mon 11-5. (707) 963-7111 Fax: (707) 963-7867. May-November open Mon-Fri: 12-5, weekends and Holidays: 11:30-5:30. 3939 Lovall Valley Rd., Sonoma, CA 95476. (707) 935-3939. Open by appointment only. 8761 Dry Creek Road, Healdsburg, CA 95448. (707) 433-6700. Fax: (707) 431-1742. Open daily 10-5. 10075 Highway 128, Healdsburg, CA 95448. (707) 433-7266 or (800) 54-GRAPE. Fax: (707) 433-2231. (707) 836-5617. Fax (707) 836-5935. 6200 St. Helena Road, Santa Rosa, CA. 28500 Seaview Road, Cazadero, CA 95421. 12707 Old Redwood Highway, Healdsburg, CA 95448. (707) 433-7272. Fax: (707) 433-0565. Open daily 10-4:30. 5141 Dry Creek Rd, Healdsburg, CA 95442. (707)431-8886 or (707)433-6181. Fax: (707)431-8881. (707) 473-0553. Open daily 10:30-4:30. 23072 Walling Road, Geyserville, CA 95441. (707) 857-3205. Fax: (415) 776-7331. Now open for tastings most weekends 11-4. Please call ahead. (707) 894-3389, (800) 418-9463, Fax: (707) 894-4781. (707) 433-2458. Open 10-6 daily. (707) 473-2900 or (707) 473-2909. P.O. Box 25, 22281 Chanti Road, Geyserville, CA 95441. New Tasting Room: 2306 Magnolia Drive, Healdsburg, CA 95448. (800) 255-9463. Fax: (707) 857-9402. Open daily 10-5. 14301 Arnold Drive , Sonoma, CA 95476. (707) 939-6277 Fax: (707) 935-5842. (707) 833-0032, Fax: (707) 833-2743. P.O. Box 1427, 23555 Carneros Highway 121. Sonoma, CA 95476. Tours daily at 11, 1 & 3. Tastings from 10-5. (707) 857-4101. Fax (707) 857-4103. 4480 Wallace Road. Santa Rosa, CA 95404. (707) 823-4464. FAX (707) 829-2031. (707) 433-1645. Open by appointment. (707) 823-3040. Open Fri-Sun 10-4:30. (707) 228-1338. Fax: (707) 510-6208. 2000 Denmark Street, Sonoma, CA 95476. (707) 938-5277 Fax: (707) 938-9460. Open daily 11-4:30. 3785 Burnside Road, Sebastopol, CA. (707) 829-8170. Open by appointment only. (707) 431-4310. Fax: (707) 575-0563. Open daily 10-4. Santa Rosa Tasting Room , 5353 Occidental Road, Santa Rosa, CA 95406. 888-HANNA-88, (707) 575-3371. 10-4 daily. 18596 Lomita Avenue, Sonoma, CA 95476. (707) 996-3860. Fax: (707) 996-3862. Tours and Tastings by appointment. (707) 579-1687. Open by appointment only. 3339 Hartman Lane, Santa Rosa, CA 95401. (707) 526-4441. Fax: (707) 526-4594. Tours and Tastings by appointment. (707) 573-8711. Fax (707) 546-8840. Open Weekends 11-4 or by appointment. (707) 431-2705. Open by appointment. (707) 847-3600. Open by appointment only. (707) 473-0337. Fax (707) 887-0833. (707) 431-1424. Open weekends 11-4. 2134 Olivet Road, Santa Rosa, CA 95401. 6050 Westside Road, Healdsburg, CA 95448. The historic tasting room is open daily 10-5. (707) 433-5215. Fax (707) 433-5144. (707) 894-8499. FAX (707) 894-2538. (707) 395-0689. Open by appointment. (707) 237-4980. Open by appointment. P.O. Box 1815, Sonoma, CA 95476. Visit their Web Page: Iridesse Wines ??? 9786 Ross Station Road, Sebastopol, CA 95472. (707) 887-1507. Fax: (707) 887-1337. Open daily 10-4. (707) 431-5400, Fax (707) 431-5410. Tasting at A Dozen Vintners, 3000 St Helena Hwy North, St Helena, daily 10-5. 1474 Alexander Valley Road, Healdsburg, CA 95448. (707) 431-5250. Fax: (707) 433-5259. Retail sales 8-5 Mon-Fri and 9-4 Sat. Tours scheduled by appointment. 2916 Laguna Road, Forestville, CA 95436. 421 Aviation Blvd. Santa Rosa, CA 95403. (707) 544-4000 Fax: (707) 544-0156. 5007 Fulton Road, Fulton, CA 95439. (707) 571-8100. Daily 10-5. 337 Healdsburg Ave, Healdsburg, CA (707) 433-7102. Daily 10-5. P.O. Box 447, 9592 Sonoma Highway, Kenwood, CA 95452. (707) 833-5891 Fax: (707) 833-1146. Open daily 10-4:30. 4791 Dry Creek Road, Healdsburg CA. (707) 433-0200. Open daily 11-4:30. 13250 River Road, Guerneville, CA 95446. (707) 824-7000. Fax: (707) 869-2981. Open daily 9-5:30. P.O. Box 639, 10155 Sonoma Highway, Kenwood, CA 95452. (707)833-5501. Fax: (707) 833-2204. Open daily 11-5. Tasting at 235 Healdsburg Avenue, Healdsburg, daily 10:30-5:30. (707) 473-0146. FAX (707) 473-0147. P.O. Box 781, 9990 Dry Creek Road, Geyserville, CA 95441. (707) 431-1550 or (800) 750-9463. Fax: (707) 431-8356. 337 Healdsburg Avenue, Healdsburg, CA 95448. (707) 433-7102. Open daily 10-4:30. 4085 West Dry Creek Road, Healdsburg, CA 95448. (707) 431-9600. FAX (707) 433-3215. Open daily 10:30-4:30. 101 Adobe Canyon Road, Kenwood, CA 95452. (707) 833-0053 or (800) 452-6365. Fax: (707) 833-1164. (707) 938-3031. FAX (707) 938-3424. P.O. Box 548, Glen Ellen, CA 95442. 8132 Speer Ranch Road, Forestville, CA 95436. (707) 887-9463 Sales: (800) 692-5780 Fax: (707) 887-0322. Visit their Web Page: Lavoro ?? 1023 Limerick Lane, Healdsburg, CA 95448. (707) 433-9211. Fax: (707) 433-1652. Open daily 10-5. (707) 996-2750. Fax (707) 935-1544. 3909 Frei Rd., Sebastopol, CA 95473. 650 Lytton Springs Road, Healdsburg, CA 95448. (707) 433-7721. Tastings: 11 am to 4 pm. 15001 Chalk Hill Road, Healdsburg, CA 95448. (707) 433-4774. Open Saturday and Sunday 10-4. (707) 433-4780. FAX (707) 433-4781. 21481 8th Street East, Suite 25, Sonoma, CA 95476. (707) 996-4480 Fax: (707)996-3726. Tours and Tastings by appointment. 10400 Graton Road, Sebastopol, CA 95472. (707) 823-4365 or (707) 415-331-7741. (707) 836-9647, Wine Order Line: (800) 955-9585. Open daily 10-4:30 May-October, November-April weekends only 11-4. (707) 823-2404. Fax: (707)824-2592. Thurs-Mon 11-4 winters, Daily 11-5 summers. (707) 525-0570 or (800)346-1627. Open daily 10-5. 6097 Bennett Valley Road, Santa Rosa, CA 95404. (707) 431-0804. Open daily 10-5. 1400 Lytton Springs Road, Healdsburg, CA, 95448. (707) 433-9035. Fax: (707) 431-2369. Open daily 11-5. P.O. Box 1387, Forestville, CA 95436. (707) 431-2148 Fax: (707) 431-2549. Daily 10-4:30. 15001 Chalk Hill Road, Healdsberg, CA 95448. (800) 733-4774 or (707) 433-4774. Fax (707) 431-2314. 412 Limerick Lane, Healdsburg, CA 95448. 830 DenBeste Ct. Suite B, Windsor, CA 95492. 3339 Hartman Road, Santa Rosa, CA 95401. (707) 526-4441. Tours and Tastings by appointment. 21468 8th Street East, Sonoma, CA 95476. (707) 939-6200 Fax: (707) 938-0892. 4155 Wine Creek Road, Healdsburg, CA 95448. (707) 433-7427 or (800) 447-3060 Fax: (707) 433-0444. 1345 West Dry Creek, Healdsburg, CA. (707) 433-7103. FAX (707) 433-8578. Open by appointment. P.O. Box 758, 1401 Westside Rd., Healdsburg, CA 95448. (707) 433-2121. Fax:(707) 431-1714. Open daily 10-4. (707) 433-9499. Open by appointment. (707) 996-5870. Open by appointment. (707) 823-0880. Fax (707) 823-0980. (800) 546-7718. Fax: (707) 857-3262. P.O. Box 158, 4001 Highway 128, Geyserville, CA 95441. (707) 431-7644 Fax: (707) 431-8640. Open daily 10:30-4:30. Open Sat 12-5 or by appointment. (707) 933-8514. Tasting 10:30-5 daily. (707) 883-5504. Fax: (206) 241-WINE. 498 Moore Lane, Unit C, P.O. Box 1691, Healdsburg, CA 95448. (707) 431-8222. Fax: (707) 431-7828. 4545 Thomas Lake Harris, Fountain Grove, Santa Rosa, CA 95403. (707) 528-9463. Fax: (707)528-9481. Open daily 11-5:30. (707) 433-5550. (877) 825-5547. Open daily 11-5. 23189 Geyserville Road, Cloverdale, CA. (707) 857-3418. Open daily 9-5. 1220 Canyon Road, Geyserville, CA 95441. (707) 857-3531. (800) 836-3894. Fax: (707) 857-3812. 4055 West Olivet Road, Santa Rosa, CA 95401. 12400 Ida Clayton Road, Calistoga, CA 94515. (707) 942-4459. (800)354-4459. Fax: (707) 942-0209. 4791 Dry Creek Rd, Bldg #7, Healdsburg CA 95448. P.O. Box 309, 11447 Old Redwood Highway, Healdsburg, CA. 95448. (707) 433-8843. Fax: (707) 433-6314. Open daily 10-5. 8735 Westside Road, Healdsburg, CA 95448. 9282 West Dry Creek Road, Healdsburg, CA 95448. (800) 305-9707. (707) 433-3372. Fax: (707) 433-5307. Tasting Room open daily 11-4:30. 4026 Spring Mountain Rd., St Helena, CA 95448. (707) 963-4949. Open Wed-Fri 10-4 By Appointment only. 25084 Asti Road, Cloverdale, CA 95425. 4900 West Dry Creek Road, Healdsburg, CA 95448. (707) 431-8333. (800) 292-8339. Fax: (707) 431-1664. 3291 Westside Road, Healdsburg, CA 95448. (707) 431-7128. Open daily 11-5. P.O. Boz 610, Forestville, CA 95436. 18701 Gehricke Road, Sonoma, CA. (707) 933-2332. (888) 669-4679. Open daily 10-4:30. (888) 900-0024, (707) 433-4365. FAX (707) 431-1843. Open daily 11-5, by appointment only. Please call ahead. (707) 829-8500. Open daily 10-5. (707) 758-3441. Fax (707) 857-4808. P.O. Box 1392, 120 Foss Creek Circle, Healdsburg, CA 95448. P.O. Box 182, Sonoma CA 95476. (707) 252-7117 Fax: (707) 252-0392. Tours and Tastings by appointment. 28700 Arnold Drive, Sonoma, CA. (707) 935-7115. (800) 825-9475. Open daily 10-5. 6192 Westside Drive, Healdsburg, CA 95448. (707) 433-2305. Open Thurs-Mon 11-4. 11455 Old Redwood Highway, Healdsburg, CA 95448. (707) 433-6511 Fax: (707) 433-8635. Visit their Web Page: Rusina Wines ??? (707) 575-9428 Fax: (707) 575-9453. Not open to the public. P.O. Box 358, 5700 Gravenstein Highway, Forestville, CA 95436. Winery (707) 887-1575. Restaurant (707) 887-1562. (707) 833-5504. Open 11:00am to 6:00pm daily. (707) 431-1888. Not open to the public. (Now owned by Silver Oak). (707) 473-2992. Open daily 11-5. 602 Bonneau Rd., Sonoma, CA 95476. (800) 996-9365 or (707) 939-9363. Fax: (707) 939-9364. Open daily 10-5. 389 Fourth Street East, Sonoma CA 95476. 8757 Green Valley Road, Sebastopol, California 95472. (707) 829-9463. Fax: (707) 829-5368. 14730 Grove Street, Healdsburg, CA 95448. (707) 433-3579. Fax: (707) 433-0545. (707) 431-1288. Open daily 11-5. (707) 829-8100. Fax (707) 824-2676. Tasting : 1301 Cleveland Ave, Santa Rosa. Open weekends 2-7. (707) 942-7082. FAX (707) 857-3134. Tastings open Mon-Sat 10-5, Sun 11-5. 16275 Healdsburg Ave., Healdsburg, CA 95448. (707) 433-6981. Fax: (707) 433-6253. Open daily 10-5. Tours 11 and 2. (707) 431-2160, Tasting by appointment. (707) 433-1944. (800) 433-1944. FAX (707) 433-1948. 23355 Millerick Road, Sonoma, CA 95476. 4401 Slusser Road, Windsor, CA 95492. (707) 528-1181 Fax: (707) 528-1561. Tours and Tastings by appointment. (707) 769-5203. Open Mon-Sat 12-5. 26150 Asti Post Office Rd., Cloverdale, CA. (707) 265-5490. Open 10-5 daily. 500 Pythian Rd., Santa Rosa, CA 95409. (707) 833-4666 Fax: (707) 833-6534. Open daily 10-4:30. (707) 431-1291. FAX (707) 431-1154. 7111 Hwy 128, Healdsburg, CA 95448. (707) 433-9463 Fax: (707) 544-1056. Open daily 10-4:30. (707) 433-1944. Open 10:30-5 daily. (707) 431-7745. Open by appointment. (707) 526-9463. Open daily 10:30-5. 2030 Barlow Lane, Sebastopol, CA 95452. (707) 823-2049 (800)344-TAFT. Open Mon-Fri 11-4, weekends 11-4:30. (707) 433-9208. Tasting daily by appointment. (707) 433-2393. Open Mon-Fri 11-6. Tasting Room: 21692 Eighth St. East, Suite 340, Sonoma. Open by appointment weekends 11-4. Tasting Room: 409A Healdburg Ave., Healdsburg. Open daily 10:30-5:30. (707) 431-8667. 13300 Buchman Drive, Hopland, CA 95449. 19170 Geyserville Avenue, Geyserville, CA 95441. (707) 433-3104 Fax: (707) 433-5825. Open daily 10-5. (800) 505-4850. Open Mon-Sat 10-5, Sun 11-5. Calistoga Tasting Room: 1183 Dunaweal Lane, Calistoga. Open Mon-Sat 10-5, Sun 11-5. 4202 Dry Creek Road, Healdsburg, CA 95448. 777 Madrone Road, Glen Ellen, CA. (707) 996-6941. Open daily 10-5. (707) 433-9000. (800) 273-0177. Open Thurs-Mon by appointment only. 25200 Arnold Drive Highway 12l, Sonoma, CA 95476. (707) 935-4700 Fax: (707) 996-4632. Open daily 10-5. P.O. Box 1756, Windsor, CA 95492. (707) 833-2300. Fax (707) 833-2301. (707) 431-4404. Open daily 11-5. (707) 546-2004. Not open to public. Winery Open By appointment only. Tasting Room Ghirardelli Square San Francisco Mon-Sat 11-9, Sun 11-7. 11600 Dunbar Road, Glen Ellen, CA. (707) 939-0708. FAX (707) 939-0378 Open daily 11-5. (707) 935-3246. Fax (707) 935-3286. (707) 433-8429 Fax: (707) 433-8446. P.O. Box 189, Cazadero, CA 95421. (707) 847-3687. Tastings by appointment. (707) 473-0193. Open daily 11-7. (707) 433-4355. Fax: (707) 433-4353. P.O. Box 964, Healdsburg, CA 95448. P.O. Box 368, Windsor, CA 95492. (800) 333-9987. Fax: (707) 433-8635. Tasting Room: 239A Center Street, Healdsburg, CA 95492. Open Mon-Fri 10-5, Sat-Sun 10-6. Tasting Room: 5700 River Rd., Santa Rosa, Thurs-Sun 10:30-4:30. (707) 433-8511. FAX (707) 431-9270. Open Fri-Sun 11-4 or by appointment. 3364 River Road, Fulton, CA. (707) 544-3555. Open daily 10-5. (707) 433-4410. Open daily 11-4:30.